The time of chaos is approaching. While the dark sorcerer, Rathnakar, expands his undead army and schemes to obtain a scepter of power that could change the course of the future, the oracle of Silverwood Grove moves to thwart him. But all her plans for the protection of Earth Realm lie in the hands of three unlikely champions. Fleeing from the newly fallen Asincourt seclusionary, Eydis and Geveral struggle to protect the refugees in their charge. But as they journey through the icy mountains toward the safe haven of a dwarven city, a mysterious wizard works toward their destruction. Orrick of Kroad has narrowly escaped death at Asincourt, only to be pursued for the price on his head. 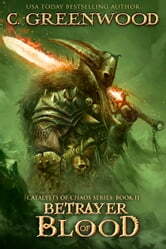 Notorious as a betrayer, his attempts to elude capture draw him into a web of further treachery, where he learns even those seemingly on his side are not to be trusted. Can the three catalysts unite in time to combat the coming darkness? 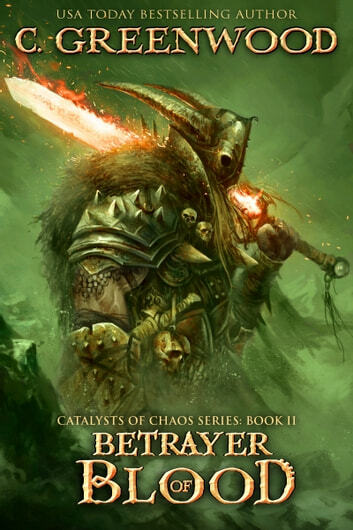 Or will the deception of their allies be the undoing of Earth Realm? Read second book first, so... Character development seems good, no one seems to be grossly good, although some characters have yet to define a reason as to why they are bad or going bad. Perhaps book 1 or 3 will reveal more. Plot/action is good.